This brief provides a summary of the TIR system and introduces the most important attributes of the future eTIR system. 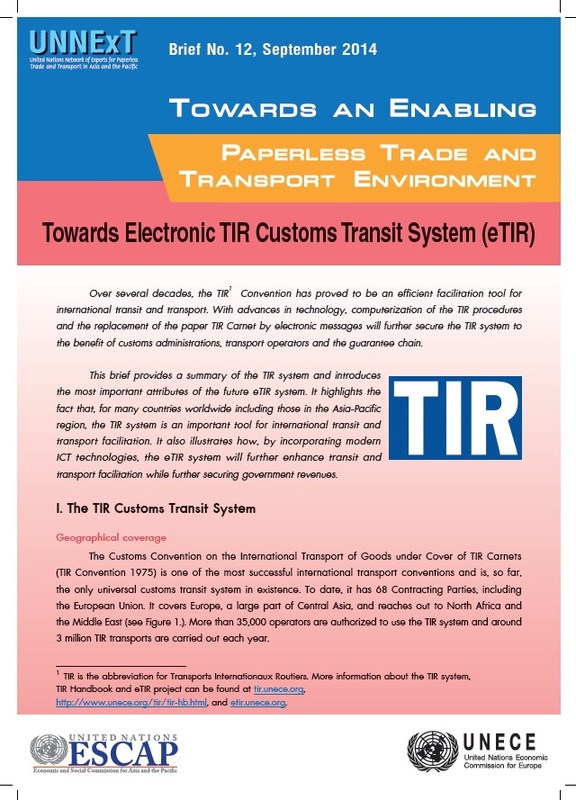 It highlights the fact that, for many countries worldwide including those in the Asia-Pacific region, the TIR system is an important tool for international transit and transport facilitation. It also illustrates how, by incorporating modern ICT technologies, the eTIR system will further enhance transit and transport facilitation while further securing government revenues.